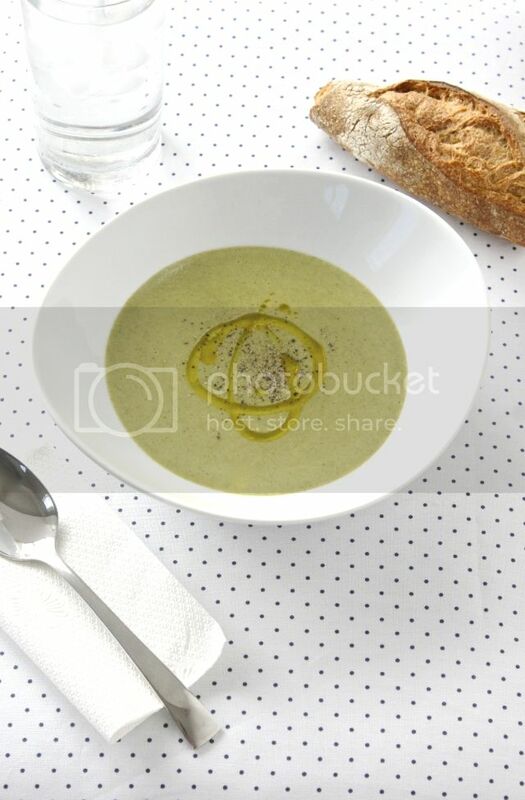 5-Ingredient Roasted Broccoli Soup—My Latest on Freutcake (YUM)! / Hey, EEP! 5-Ingredient Roasted Broccoli Soup—My Latest on Freutcake (YUM)! If you pop over to Leah Bergman's fabulous blog, Freutcake, this morning you'll find the full story behind my favorite cold-weather, weeknight food: Creamy broccoli soup that's super flavorful (and surprisingly good for you). You see, I think food lovers with healthy eating resolutions are often set up for failure this time of year. How could we not be? It's prime comfort food season! Thankfully my Roasted Broccoli Soup hits all of the cozy notes you're craving (warm, rich, broccoli-y if that's your thing) but it comes in at under 250 calories per serving—even less if you use fat-free half-and-half! Here's a quick video if you're interested. 1. Preheat the oven to 450˚F. 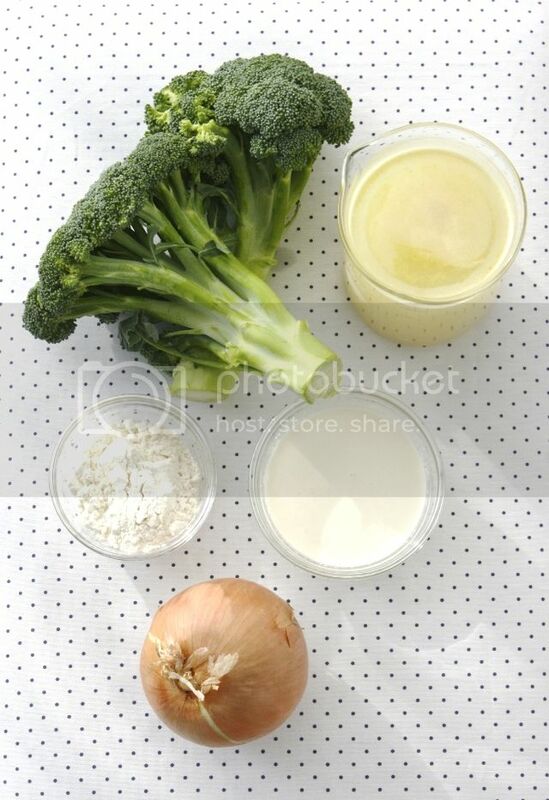 Toss the broccoli, 1 tablespoon olive oil and 1/4 teaspoon salt on a rimmed baking sheet until combined. Roast until slightly tender and the broccoli browns in spots around the edges, 6 to 7 minutes. 2. Meanwhile, heat 1 tablespoon olive oil in a large saucepan over medium-high heat. Add the onion and cook, stirring occasionally, until soft, about 5 minutes. Stir in the flour; cook 1 minute. 3. 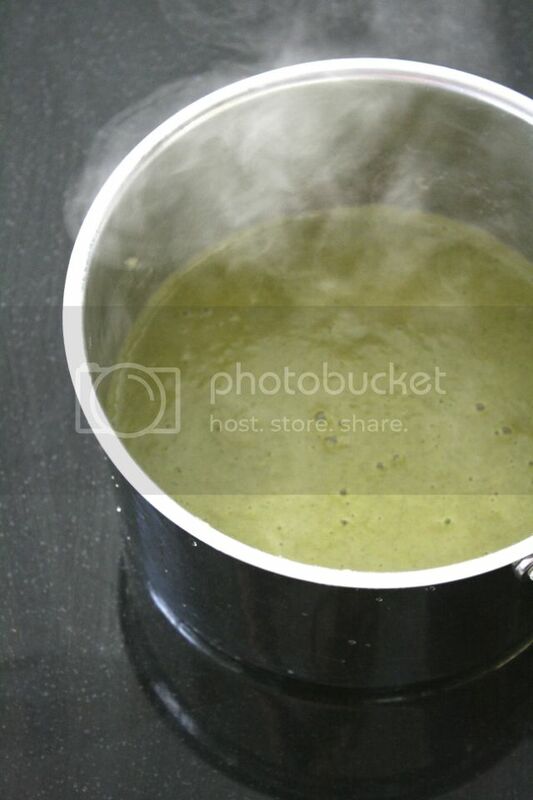 To the saucepan, add the roasted broccoli, broth, 1 cup water, 1/2 teaspoon salt and 1/4 teaspoon pepper. Cover and bring to a simmer, about 5 minutes. Continue to simmer, uncovered, until the broccoli is very tender, about 10 minutes. 4. Transfer the soup to a blender and puree until smooth, working in batches if needed (or use an immersion blender). Return the soup to the saucepan (wiped clean). Stir in the half-and-half; gently reheat if needed. 5. Divide the soup among bowls. Top with freshly ground pepper and a drizzle of olive oil, if desired. Store leftovers in an airtight container in the refrigerator for up to 5 days or freeze for up to 3 months. Q: Have you made a healthy resolution this year? If so, what is it? I vowed to eat more veggies (which I do ever year). Maybe we can devise a way to keep each other on track!